View Poll Results: Who's your winner? What is it? Inspired by the board game Ludus Astronomorum, brought by the Arabs to Europe and played already in the 13th century, Ludus is a song contest full of twists based on zodiac signs and days of the week. Monday (Moon Day): Linked to insanity, Goddess Luna chooses 1 sign at random. Voters rank their songs and half of them leave. Tuesday (Mars Day): God of war and destruction, Mars chooses 3 or less songs at random from each sign and they all battle in knockout style. 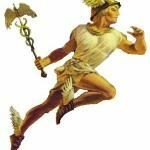 Wednesday (Mercury Day): 1 song from each sign, selected at random, plays in a ranking style - but before that Mercury, the God of luck, gives immunity to 1 entire sign. Half leave. Thursday (Jupiter Day): The God of thunder makes each voter chose 1 sign to eliminate and then rank its songs. 25% of all voted leave. Friday (Venus Day): The Goddes of victory makes each voter immunize 1 sign - The two remaining go to elimination, all mixed, by ranking. 50% leave. Saturday (Saturn Day): The God of dissolution changes the signs, transferring 1 song from each to another - then, 1 sign is chosen also at random to be ranked, from which 50% are eliminated. Sunday (Sun Day): God Sol controls everything. For that reason, players vote out how many songs they want from each sign. 20% leave. The deadlines for voting are chosen at random in the beginning of each round - it can be 24, 48 or 72 hours. First let's decide a theme. We can either go for: hidden tracks on albums, 'part 2' songs, British artists or songs by bands (ie musicians and a vocalist). What would you guys prefer? I want to make this as good as possible as thanks to Wardo for allowing me to continue this amazing game. Glad you took the wheel blue! Thank you! I'm excited to host such an amazing game! Went with British too. Hidden tracks and pt 2's would be interesting, but I'd have to really search if I wanted to find more than a few off the top of my head. I'll definitely participate this time. I voted for "British Artists". Our theme is... BRITISH ARTISTS. Please nominate any fifteen songs. The same artist can only have two songs submitted in total, and one by each player. The British artist must be either born or a citizen of the United Kingdom. They also must be the main credited artist. All main artists must be British (so George Michael and Whitney Houston's duet would not be eligible for example). If links are not provided the first video found on Youtube under that title will be used so if there is a specific version you want included please include links. Do the same rules apply as before, like no UK/US Top 40 hit? Sorry for the lack of clarification. Top fourty songs are allowed for this theme. Following themes will or will not depending on the theme. Today random songs are taken as warriors by god Mars (songs don't battle those under the same sign) - three from each. For each death match, please choose the winner. All defeated songs leave. You're welcome to participate: there's some really good songs! Some of the instances when I like both songs and some where either one of the pair is insanely rubbish.